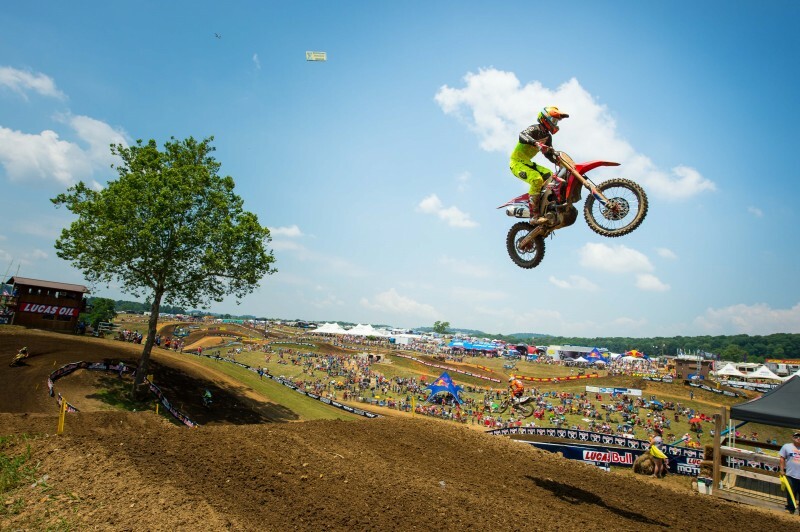 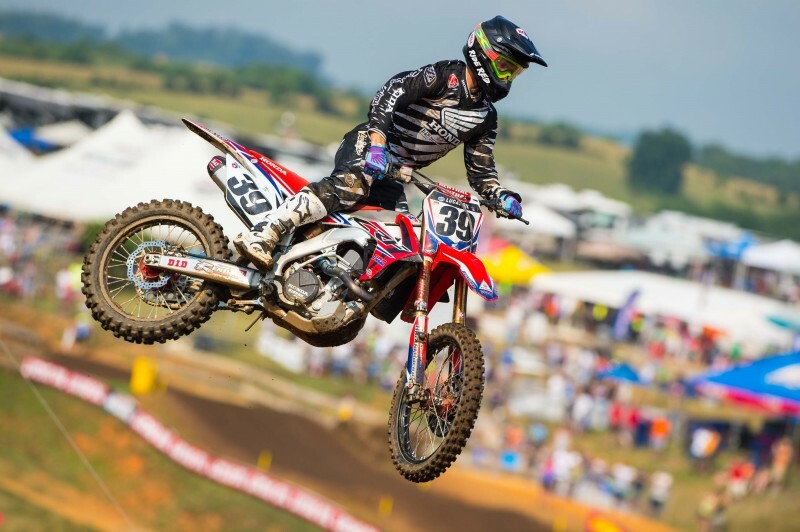 Held in Blountville, Tennessee, the fourth round of the AMA Pro Motocross championship was positive for Team Honda HRC, as Cole Seely turned in another solid performance aboard his factory CRF450R. 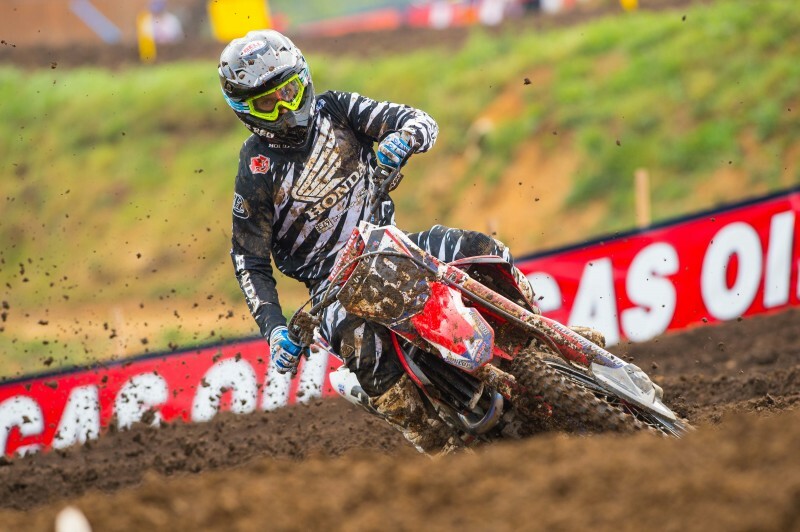 During the first moto, Seely got off the line to a top-10 start and worked his way into fifth, where he stayed for the majority of the 30-minute-plus-two-lap race, before relinquishing three positions and taking the checkered flag in eighth. 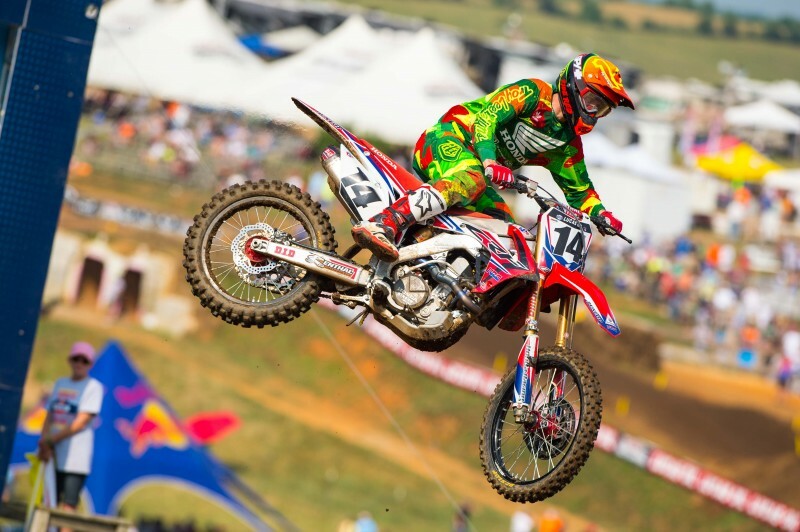 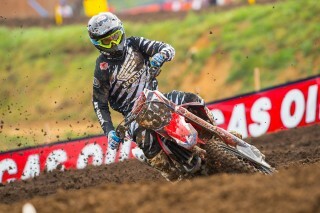 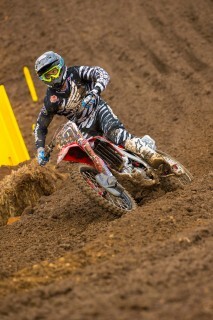 In the day’s final 450 race, Seely nabbed a second-place start and held off multiple advances from the competition throughout the opening laps. 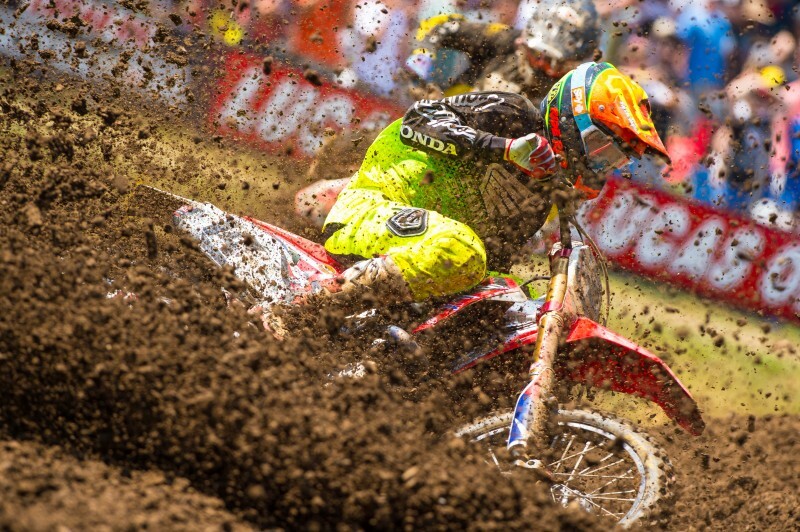 The Californian rode well to a top-five finish, his 8-5 scores landing him sixth overall. 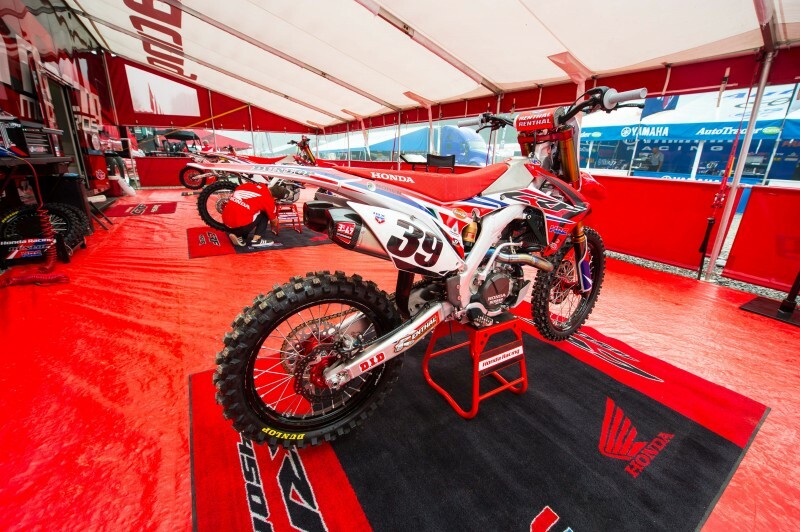 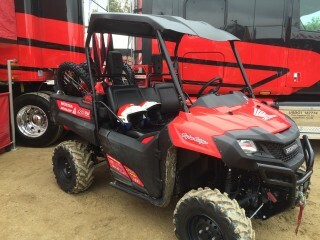 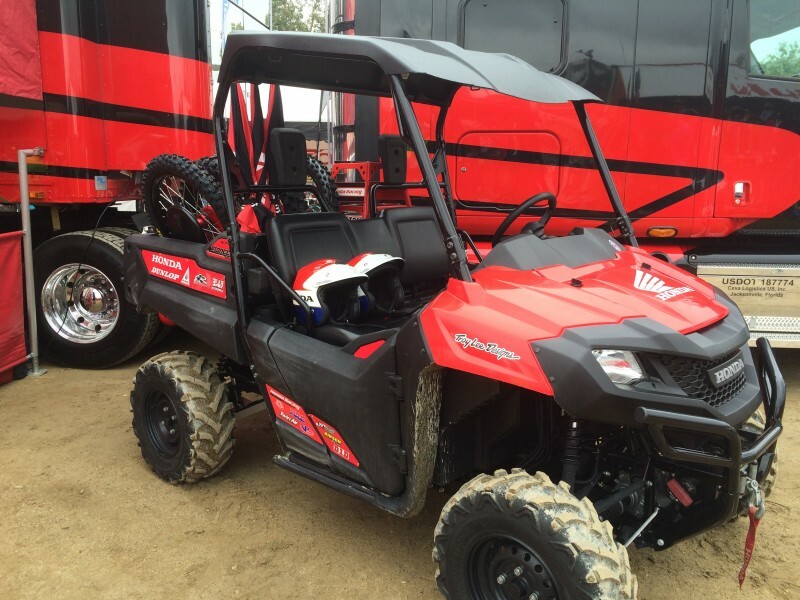 Meanwhile, teammate Fredrik Noren put together two respectable rides. 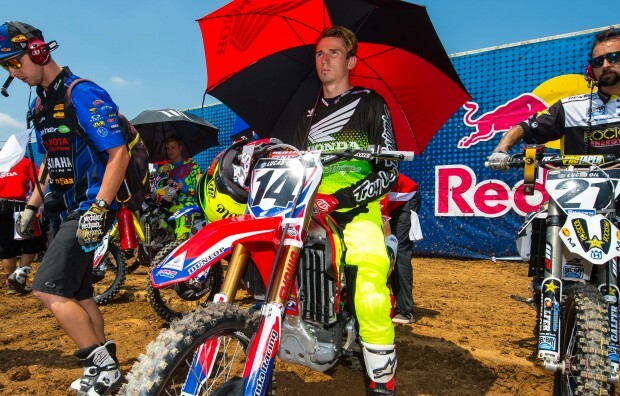 Following a 10th in moto one, the Swede overcame a fall midway through the second race to finish 12th in the moto and overall. 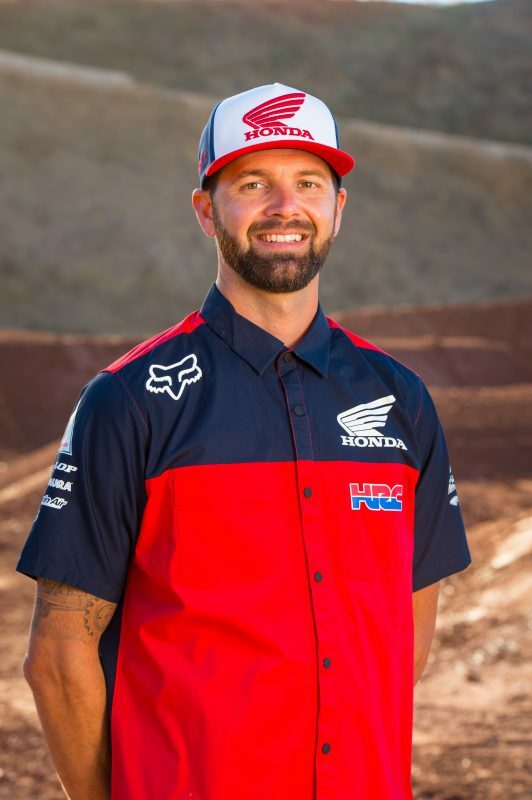 Team Honda HRC riders Cole Seely and Fredrik Noren participated in Muddy Creek’s Thursday pre-race press conference, which involved several local dignitaries including Tennessee Lieutenant Governor Ron Ramsey. 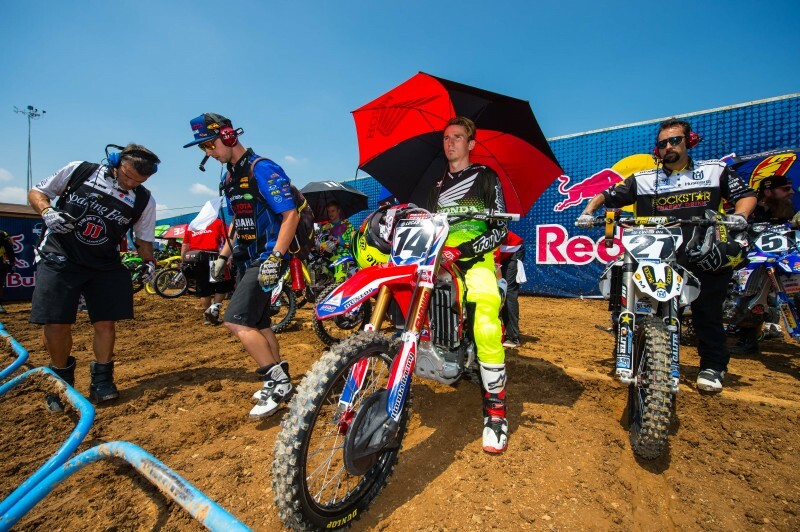 Following the conference, both riders were given the opportunity to check out the track during a pair of 20-minute riding sessions. 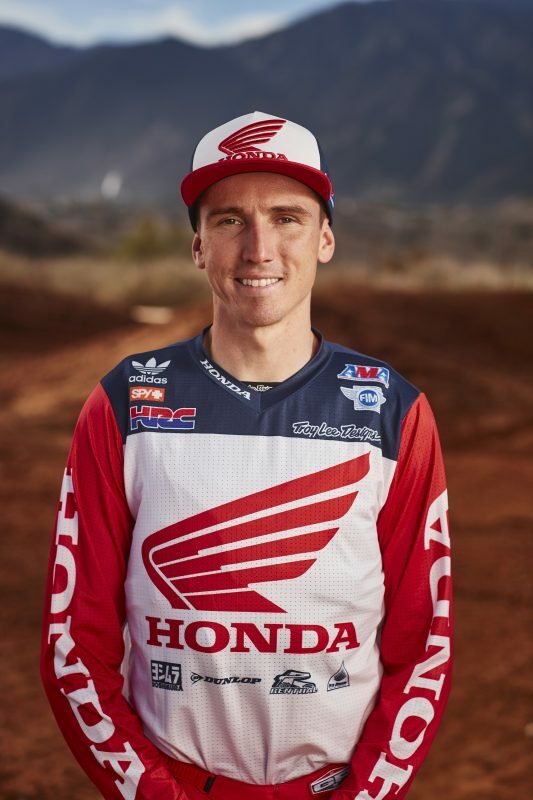 On Friday, Seely and Noren joined GEICO Honda riders Matt Bisceglia, Jordan Smith and RJ Hampshire for an autograph signing at Bristol, Virginia’s Atlas Cycle. 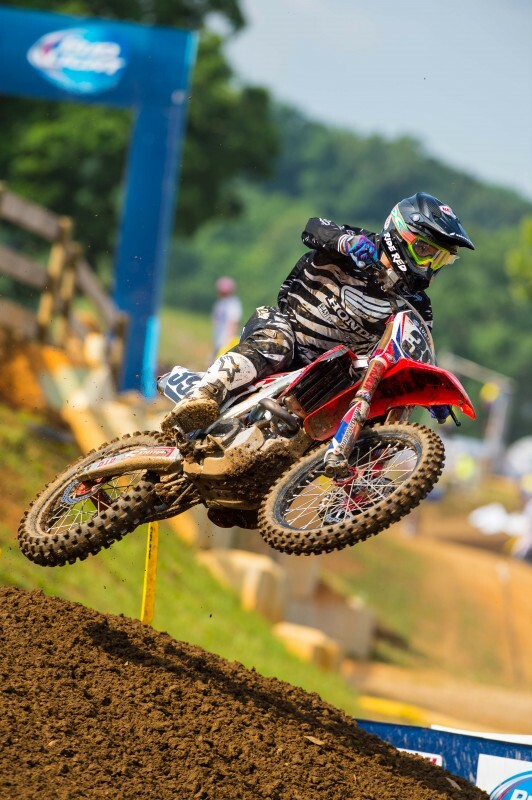 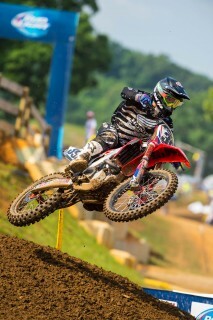 During race day’s timed qualifying practice at Muddy Creek, Seely led the charge for Team Honda HRC by logging a 1:53.220, the seventh-fastest time, while Noren was 12th-quickest at 1:54.275. 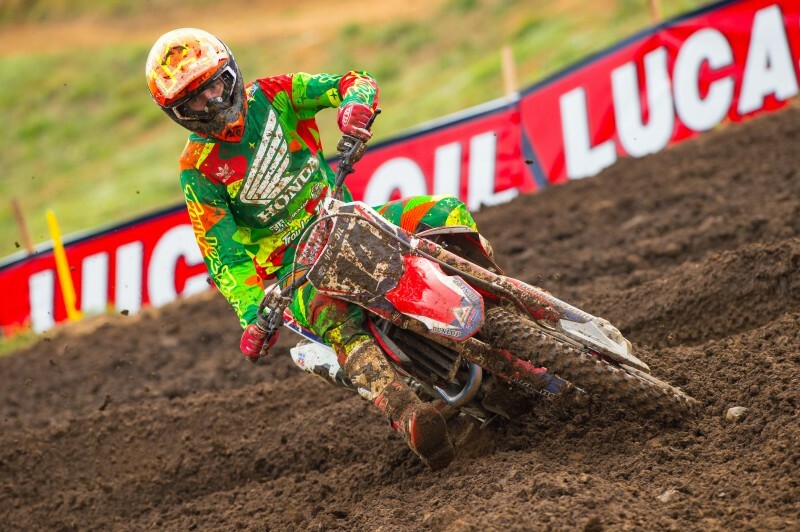 Seely’s moto finishes advanced him four positions in the points standings, his 79-point total putting him in a tie for tenth, 13 points behind the rider ahead of him. Meanwhile, Noren sits in 13th place in the standings, but he closed the gap on 12th to just a single point.